In the time of Prophet Muhammad (peace be upon him), a dispute arose when four tribes each wanted the honor of placing the Black Stone inside the Holy Ka’ba. So the Prophet found a resolution: He asked each tribe to choose a leader, placed the stone on a sheet, and had each leader carry one corner of the sheet and raise the stone together. Peacefully resolving disputes through consultation has been a central part of Islam since its beginning. Today, in the Ismaili Muslim community, that ethos of consultation and collaboration informs the work of the Aga Khan Conciliation and Arbitration Board for the United States of America (CAB USA). Founded by His Highness the Aga Khan in 1986, CAB USA mediates disputes involving at least one Ismaili. The disputes range from marital and family issues to conflicts between multinational commercial and business ventures. By finding their own resolutions using CAB USA’s mediation process, parties to a dispute often arrive at resolutions that cost less, do less damage, and are more sustainable than going to court. CAB USA’s efforts mirror the work done daily by mediators in both government and civil society, efforts that are facilitated by the Association for Conflict Resolution (ACR) and the National Association for Community Mediation. During ACR’s 2017 conference in Dallas, CAB USA hosted the ACR Community Mediation and Restorative Practices Section’s full-day meeting at the Ismaili Muslim Jamatkhana in Plano, Texas. Eighty-five participants from many faiths and backgrounds gathered at the Jamatkhana for an event called “Restoring Community Day.” They included Dallas County Judge Clay Jenkins, who is the chief administrative official of the ninth-most populous county in the United States. Attendees heard about the dispute resolution program in Oklahoma, which was created by state law in 1986—the same year that the Aga Khan began CAB USA. Phil Johnson, the Oklahoma state director for alternative dispute resolution, presented an overview of the program. In Oklahoma, residents can go before volunteer mediators who have been trained and certified by a court administrator. Each side pays little to no fee for these mediations, which typically last a few hours and are held all over the state in courtrooms, libraries, or any other public meeting rooms. Members of CAB USA presented highlights of their work, which similarly uses volunteer mediators. CAB USA mediators are appointed to three year terms and are required to complete a global, standardized 40-hour training program at the start of the term. The mediators also receive more than 20-hours of continuing education during each of the second and third years of the term. A unique aspect of CAB USA’s mediations is that they are not bound by a predetermined time limit. This generosity of time allows individuals not only to resolve their dispute but also to work on healing from it, so that they can begin to move forward in life. CAB USA endeavors to “bandage wounds” from the trauma of conflict. That is, CAB USA aims not just to arrive at a solution to a problem, but to identify root cases underlying problems and find ways to begin healing from them. Also presenting at the event was Dr. Lois Edmund, a mediator and professor at the University of Winnipeg. Dr. Edmund spoke about “restorative practices” and led participants through a case study from the perspectives of both the victim and the offender. “I have experienced your community to be very hospitable and welcoming and generous,” she said. Judge Kamran Jivani, who volunteers as a national board member for CAB USA, commented that events like Restoring Community Day let people from different perspectives approach their work from a “vulnerable, honest place,” and consider how they might do that work differently. “Invariably, we find information and techniques we can adopt, and similarly find ourselves offering our best practices to our fellow peacemakers,” Judge Jivani said. Further information about each organization mentioned above is available at its respective website listed below. And be sure to join the ACR Community Mediation and Restorative Practices Section for Community Day 2018 in Pittsburg, PA, focusing trauma, conflict, and mediation. 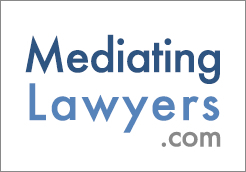 Akbar Kabani is a lawyer and mediator in Dallas. He currently serves as Chair of the Dallas Bar Association's Alternative Dispute Resolution Section and as a national board member of the Aga Khan Conciliation and Arbitration Board.